Leaders from both the Labour and Liberal Democrat groups on the council criticised the ruling Conservative administration for approving a budget which incorporates £36 million of additional savings over the three years from 2019 to 2022, without specifying how the savings will be achieved. Attempts by the Labour group to pin down the Conservatives on the precise nature of these cuts, and their impact on services, charges and staffing, were rebuffed with the response that “directors are working confidentially with the administration”. 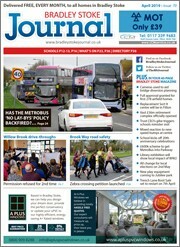 In addition to the South Gloucestershire element, bills that will be coming through letterboxes in the next few weeks will include contributions to Avon & Somerset Police (up 6.6 percent) and the Avon Fire & Rescue Service (up 2.99 percent), and the precept raised by Bradley Stoke Town Council (unchanged from 2017/18), producing a grand total of £1,819.77 for a Band D property, an increase of 5.68 percent over last year. 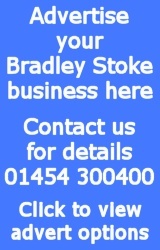 Indicative increases in the total council tax bill which will be faced by Bradley Stoke residents for the following three financial years are given as 2.66 percent, 1.90 percent and 1.89 percent. Above: Total figures for Bradley Stoke residents, comprising contributions to South Gloucestershire Council, Avon & Somerset Police, Avon Fire & Rescue and Bradley Stoke Town Council. Figures for other parishes will vary. This article originally appeared in the March 2018 issue of the Bradley Stoke Journal news magazine (on page 8). 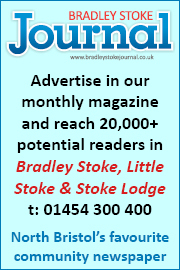 The magazine is delivered FREE, EVERY MONTH, to 9,500 homes in Bradley Stoke, Little Stoke and Stoke Lodge. 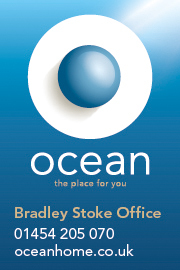 Phone 01454 300 400 to enquire about advertising or leaflet insertion. This entry was posted on Thursday 15th March 2018 at 9:17 pm	and is filed under General News, South Gloucestershire Council. You can follow any responses to this entry through the RSS 2.0 feed. Both comments and pings are currently closed.